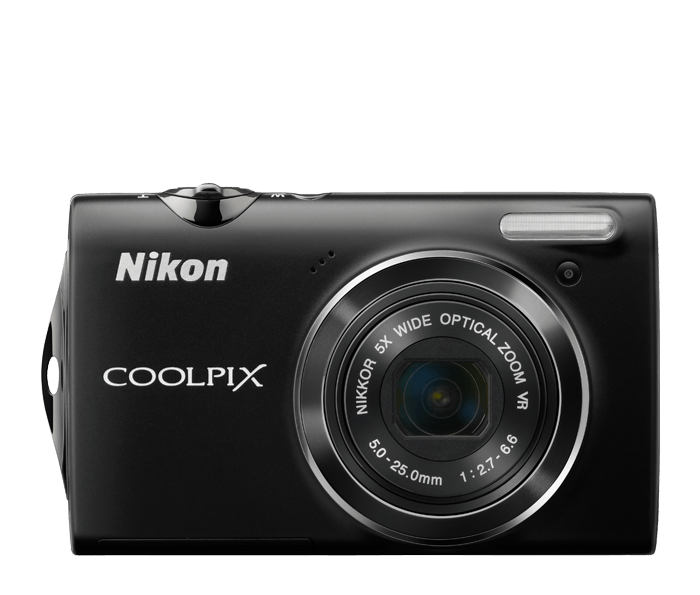 12.2-megapixel CCD sensor for stunning image quality. 5x Wide-Angle Optical Zoom-NIKKOR Glass Lens. Versatile 28-140mm lens ranges wide to capture landscapes, zooms in to get close to the action. In the NIKKOR tradition of precision optics, the high-quality glass lens delivers superb color and razor-sharp results. High ISO up to 3200 at full resolution for optimum results when shooting in low light or capturing fast-moving subjects. 2.7-inch Bright (230,000-dot) Display with anti-reflective coating for still images and movies that come alive with rich detail and improved contrast. ISO can be set as high as 3200 at full resolution. In-camera editing functions include, Quick Retouch, D-Lighting and more. HD (720p) Movie with one-touch recording for easy operation. Smile Timer automatically releases the shutter when your subject smiles. In-Camera Red-Eye Fix™ automatically corrects most instances of red-eye as you shoot. You may never see red-eye again. *Based on Camera and Imaging Products Association (CIPA) standards for measuring the life of camera batteries. Measured at 23(±2)°C (73(±4)°F); zoom adjusted with each shot, flash fired with every other shot, image mode set to 4000 × 3000.